Switzerland based Fluxim (an OLED-Info sponsor) , providing leading simulation and measurement technology to the OLED and solar cell industry, announces two product releases and two training events. Following is a sponsored message from Fluxim. After extended development and testing effort, Fluxim is going to release a new module of the simulator SETFOS in the beginning of June 2014 to simulate light scattering in OLEDs and solar cells. Fluxim believes that their customers can strongly take advantage from this major improvement as the new module makes it easy to quantify the impact of light outcoupling enhancement structures. Please write to info@fluxim.com to obtain further information today. Fluxis is delighted to announce the launch of the second generation of the all-in-one OLED and solar cell characterization platform PAIOS which comes with enhanced measurement accuracy and ranges and ever enhanced ease of use. The release of PAIOS 2.0 proves Fluxim's dedication to continued improvement of their R&D products. To learn more about PAIOS 2.0 or let us know your needs, please write to info@fluxim.com. Fluxim is pleased to offer a dedicated workshop on modeling and characterization of OLEDs with Fluxim’s products SETFOS and PAIOS during the SID Display Week’14 in San Diego. Make use of this unique chance to meet the company's experts personally and get trained in their leading and all-new OLED R&D products SETFOS 4.0 and PAIOS 2.0! The workshop will take place next to the SID conference site on June 2, 2014. The workshop and refreshments are offered free of charge, but registration is required. There are only a few places left! Please visit our website www.fluxim.com/sid14 for the program and registration. You are cordially invited to participate in the International Conference on Simulation of Organic Electronics and Photovoltaics at the Iberostar Playa de Muro Hotel located on the beautiful Muro beach in Alcudia (Mallorca) from October 1 to 3, 2014. Summer School lectures on Organic Photovoltaics are provided in conjunction with the conference and will be given at the same location. The conference and summer school are organized in the framework of the FP7 EU project Sunflower and are chaired by Fluxim founder Beat Ruhstaller from the Zurich University of Applied Sciences. 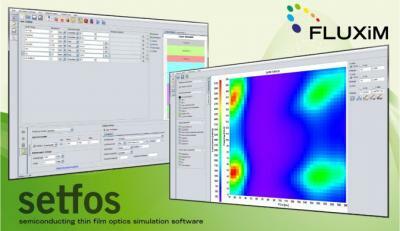 Fluxim provides training sessions on PAIOS and SETFOS. Submit your oral and poster contributions! For a preliminary list of speakers, program, info about abstract submission and registration, please visit www.fluxim.com/simoep14. Fluxim is looking forward to seeing you at one for their events!